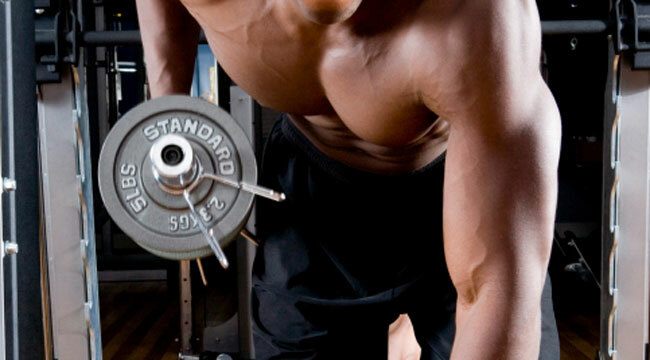 Break through size and strength plateaus with a unilateral approach to lifting. One of the best ways to shock your muscles into new growth is to force them to deal with a stress that they are not at all used to. Because the human body is literally an “adaptive machine,” if you continually perform the same exercises over and over again you will eventually reach a plateau in size, even if you successfully increase your strength. 1. The ability to concentrate more completely on the target muscle, allowing for more intense contractions and superior pumps. 2. The utilization of more muscle fibers and exhaustion of more motor unit pools within the target muscle. 3. Enhanced "neural drive" to the target muscle. 4. Improvement of strength imbalances between each side of the body. 5. Greater stimulation of stabilizer muscles. 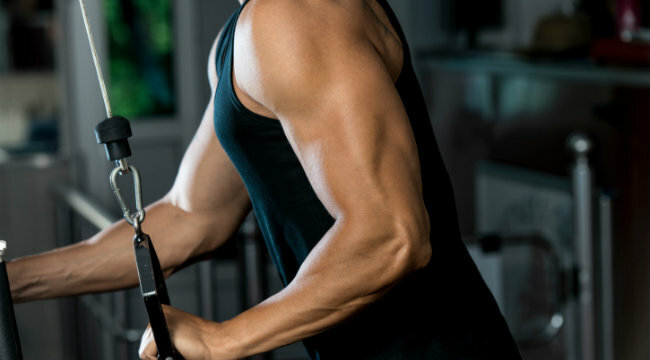 While many of you have probably used basic unilateral movements such as concentration curls and one-arm dumbbell rows, there are dozens more "one-sided" exercises available that you may have never thought of, or taken the time to try. But this is a mistake, as you never know if you are missing out on a "hidden gem" of a movement that could take your development to the next level. With that in mind, here is a list of some of my favorite unilateral exercises that I utilize myself, and with my more advanced clientele. I’m sure if you think about it you can come up with dozens more unique unilateral exercises of your own. Start by adding one unilateral exercise to each body part workout, and if you find that you're getting excellent results, add a second one. I have had some of my best and most intense workouts by training exclusively unilaterally. Just remember that some unilateral exercises can be difficult to perform at first, and until you have it mastered, you might not get the full benefit from it. It certainly takes a few workouts to get used to movements like single leg squats and deadlifts, but once you do, you can rest assured that you will see new gains in muscle/strength rather rapidly. Stick to each new unilateral exercise for about 6-8 weeks before you switch to another, but don’t be afraid to tweak your form a bit until you find what feels best to you. Now get in the gym and get a little “one-sided” about your training!